Padron Cigars are the most beloved cigars among cigar enthusiasts because of the hard work and dedication of the Padron Family. 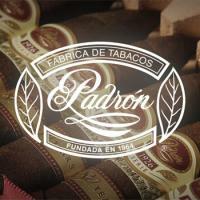 The Padron’s have been making the best Nicaraguan premium cigars since 1964. The Padron cigar family specializes in the best Nicaraguan cigars, or cigars period, and in most cigar smokers opinions any of the Padron cigar line is "Top Dog". The famous Padron 2000 is a full bodied robusto that is reasonably priced and still can compete against any other cigar in the industry today. The newly added Padron 7000 is a full bodied big boy that is a 60" ring gauge that delivers impeccable taste to even the most seasoned cigar smokers out there. Some people say that a cigar is just a cigar, until they experience a Padron cigar, then their whole world changes.